Spearheaded by Chef Brian Lewis of The Cottage in Westport, CT, OKO is an innovative tribute to traditional Japanese food. Housed in the historic Vigilant Hose Company Firehouse in the heart of downtown Westport, the minimal and clean atmosphere lends itself to its creative and outstanding cuisine. 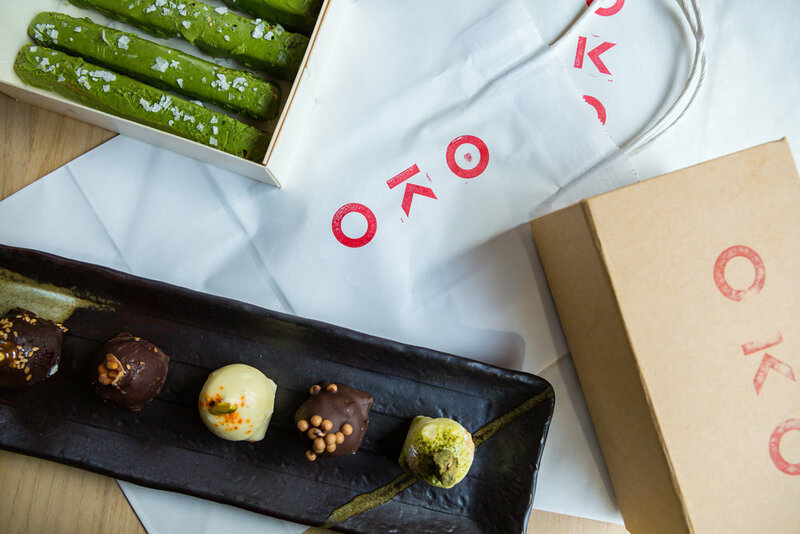 OKO is not just another Japanese restaurant or sushi joint, for its carefully crafted menu covers an array of incredible dishes, all of which are inspired by authentic approaches to Japanese cooking. When Chef Brian Lewis and his team came to us initially, they hadn’t yet decided on a name for their brand. Through heavy market research and brand positioning, we worked to come up with a title that could effectively translate to a powerful identity. Lewis had eventually pitched the name OKO—a nickname for Okonomiyaki, which is a savory pancake dish particular to Japan and one of the new restaurant’s signature dishes. Based on a perfect geometric grid, the brand mark we developed was inspired by both modern and traditional approaches to Japanese painting, printmaking, and poster design. 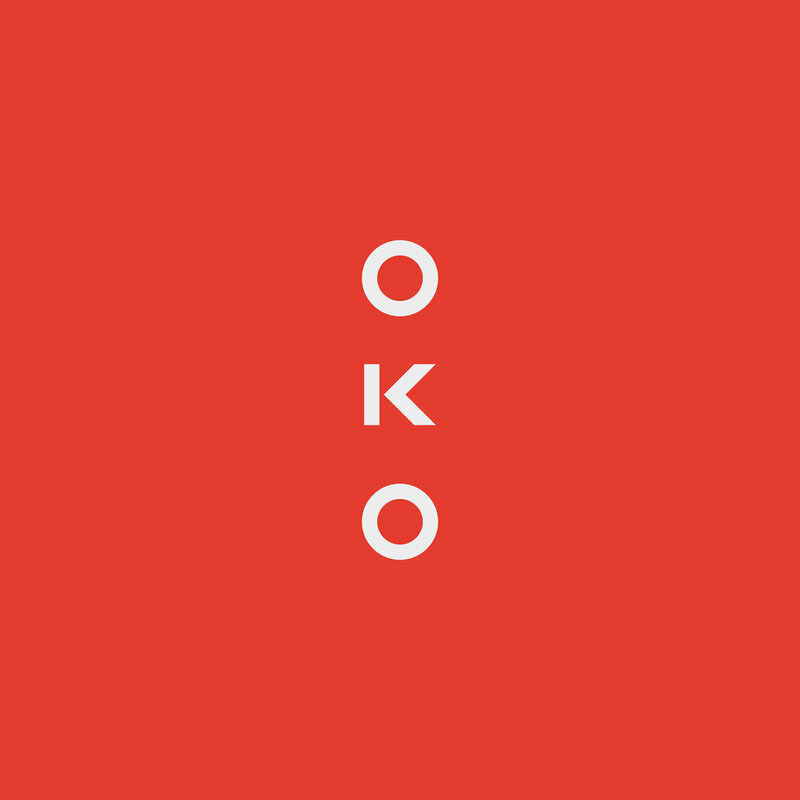 The stacked version of the OKO brand mark, for example, emulates the nature of many Japanese signatures on various works of art. 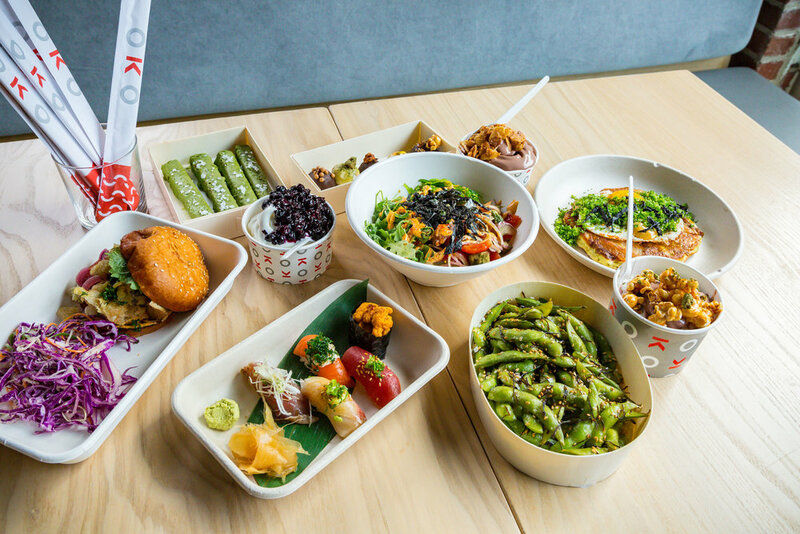 Designed to be arranged in a variety of playful ways, the individual shapes of the OKO mark can be pieced together and taken apart for the purpose of bringing visual variety to menus, signage, and various collateral materials. Meanwhile, the bright color palette makes a statement while balancing out the clean and natural earth tones—often central to Japanese architecture and design—which are found within the restaurant’s space itself.